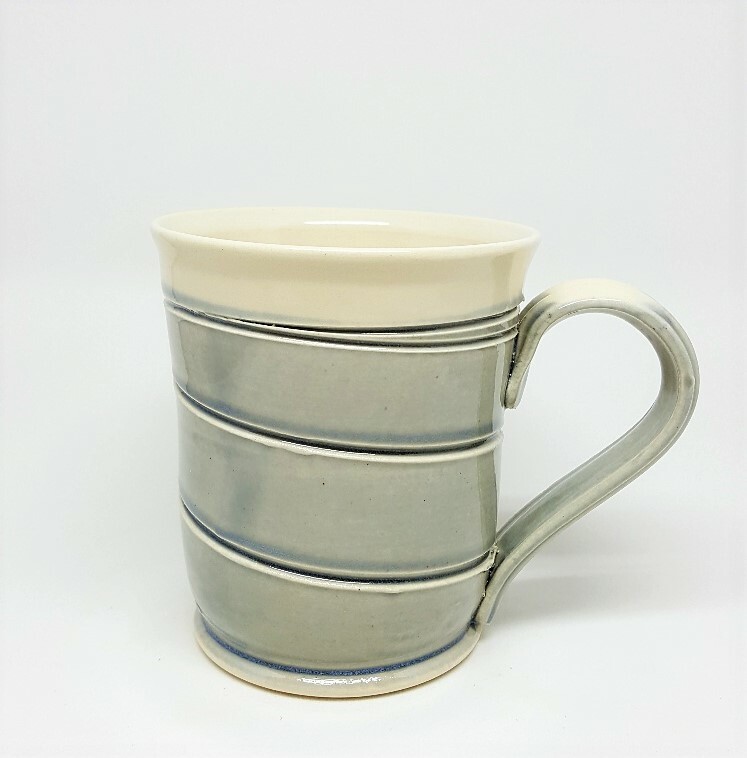 Do you love drinking your morning coffee in a handmade pottery mug? It feels so good in your hands; warm, comforting and smooth. You might need a new piece of handmade pottery. 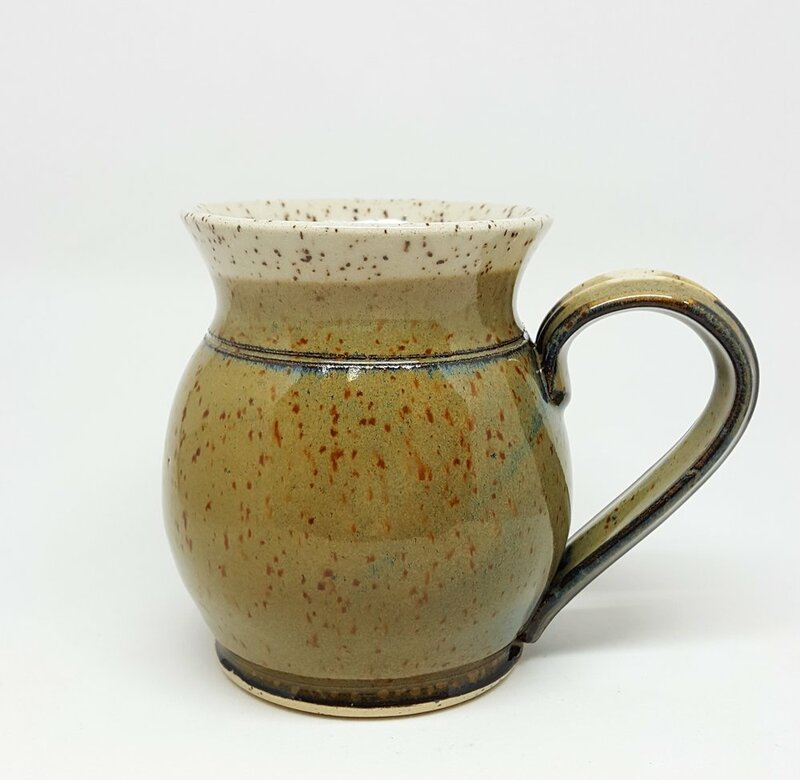 I have been making pottery for the past 20 years in Prince Albert, Saskatchewan. I’ve always loved buying pottery pieces, mostly mugs, wherever I travel in Canada. I enjoy learning about the potter and how they started their business. Every piece of pottery I make is a unique piece of art that is meant to be used everyday. All dishes and pots can be cleaned in the dishwasher. Washing by hand works too, just don’t knock your pottery against anything or it could crack. The glaze colours I use make me happy because they are fun and bright. Turquoise, bright blue, denim blue, shiny grey, waterfall brown and a new burnt orange. My style is simple, functional and lightly decorated. I add a stamp to the bottom of each mug handle and also to the bottom of each mug. What stamp did you get? Each mug, plate, serving bowl and wine cup is made by me in my pottery studio. I throw the pots on the wheel and trim them when they have partially dried. They get fired once in a kiln. Then I apply glaze, usually by dipping the pot in a big bucket of glaze. Then I load the kiln again and fire it to 1222 degrees C.